Seven’s newest light entertainment / game show hybrid, The One, will premiere 7:30pm Tuesday July 8. Andrew Daddo will present the show that tests psychics, and those purporting to be psychics, before a panel of skeptics and experts. Wonder if the psychics can predict the ratings the show will get? Do we live in a world where psychics can help solve crimes, investigate some of Australia’s greatest mysteries or even diagnose illness by mere touch? Prepare yourself for the impossible as THE ONE suspends disbelief and makes the hairs on the back of your neck stand up. The One: The Search for Australia’s Most Gifted Psychic, hosted by Andrew Daddo, will feature seven of Australia’s top psychics in a quest to determine who is ‘The One’ and challenge the way we think about psychic phenomena. Each week The One’s psychics will showcase their abilities in a series of studio and location challenges, such as finding a lost child in the bush or getting inside the minds of well-known celebrities. Psychic abilities including clairvoyance, telepathy, medical intuition, predictive and remote viewing, mediumship and psychometry will be explored through out the series. The One’s expert panel – psychic Stacey Demarco and sceptic Richard Saunders – will decide who stays and who goes until the final episode where Australia will decide which of the remaining three psychics is ‘The One’. 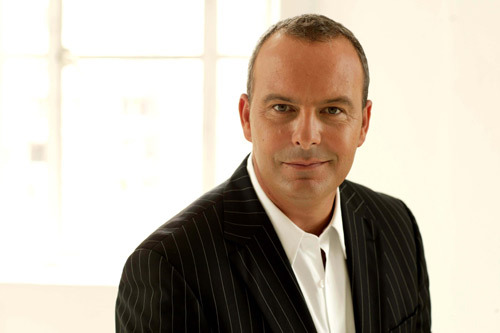 Host Andrew Daddo believes – well, he’s not sure what he believes – but regardless of which side of the fence you’re on, or even if you’re on top of it, it’s difficult to dismiss the psychics’ level of skill and dedication. “This is a rare chance to sample some unfamiliar territory from close range,” he says. “The One hasn’t been put together by true believers or the newly converted. We’re all up to challenge what we know – what we thought we did, and it’s already starting to flip me out.” With years of experience between them, The One’s panelists will be tough judges. Demarco is an initiated witch, educator and internationally-published author on metaphysical matters of more than 20 years experience. Saunders has devoted more than a decade to testing psychic theory and is a member of Australian Skeptics, a group that investigates the paranormal from a scientific viewpoint. Who will be The One? My crystal ball is looking blurry and letters started popping up, hmm what are they F L O P..
Wow Seven is stooping low in this one by attempting to do a bad Phenomenon ripoff. Then again phenomenon was woeful as well. The show will not make it past a few episodes.